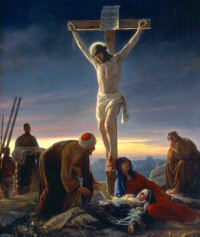 Lord, by shedding his blood for for us, your Son, Jesus Christ, established the paschal mystery. In your goodness, make us holy and watch over us always. We ask this through Christ our Lord. Amen.